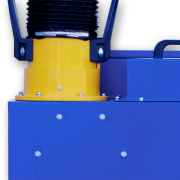 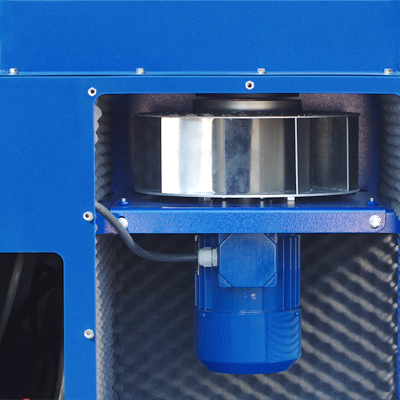 Crawlair Mobile cartridge filter is designed to exhaust and filter dry impurities like fume or dust at various industrial processes (especially at welding, grinding, polishing, cutting of metals or plastics). 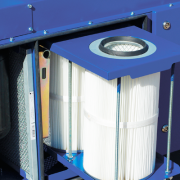 Crawlair M is equipped with metal mesh spark trap pre-filter and two high efficiency (99% at 1μm) polyester filter cartridges which are washed with built-in manual (optional timer controlled) compressed air cartridge cleaning system (10 litre tank built-in). 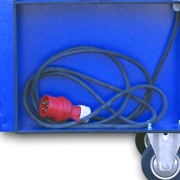 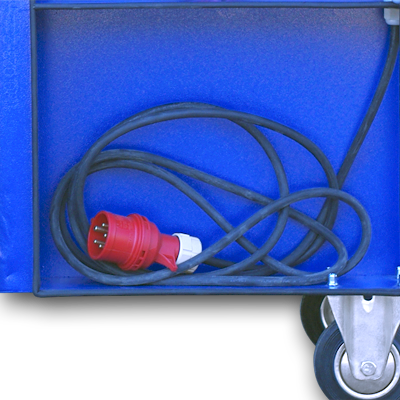 Thanks to large rear wheels, two swivel casters with brakes and pull handle moving with Crawlair around work area is easy and simple. 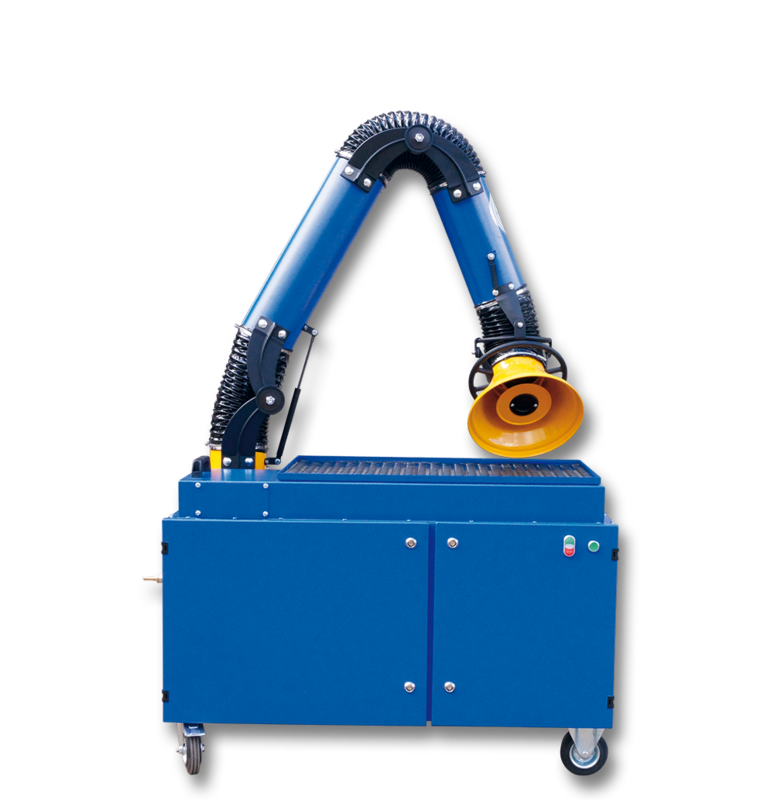 Oskar 160 fume arm models or Econ 160 hose arms are recommended for at-source fume capture. 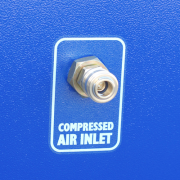 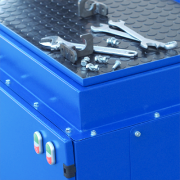 Additional front air inlet allows connections to other production equipment. 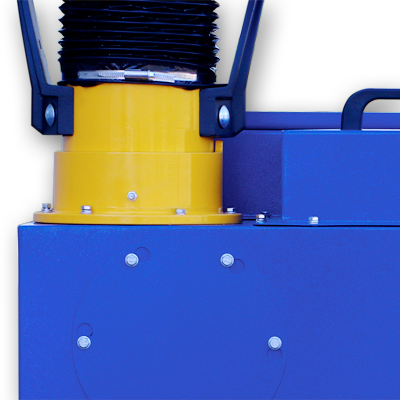 As an option Crawlair unit can be equipped with automatic start/stop function and LED light for Oskar fume arms.